Still we ended up having some beach time in Slovenia in the end. And it was so good! But that was not the initial plan. Triglav, Slovenia’s only national park in the Julian Alps offers all the alpine beauties we could ask for: breathtaking landscapes with snow-capped peaks in the background, colorful meadows, pretty lakes and waterfalls and Soča River. Though Slovenia is a small country, it’s easy to spend a week in Triglav itself and that’s what we planned after visiting Ljubljana and Slovenia’s famous caves, Škocjan and Postojna. Mother nature decided on something different though. As it was constantly raining in the mountains we wanted to figure out something else instead of climbing Triglav, the highest peak of the Julian Alps. That strenuous 2 days long hike would have not been too much fun in a storm. So we checked the weather forecast again. 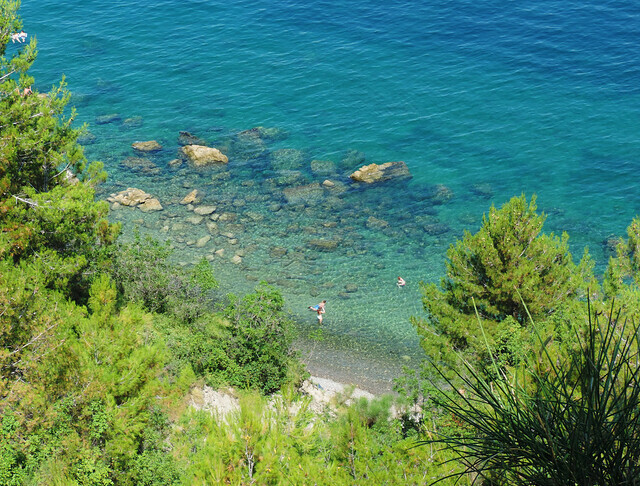 Though raining was forecasted everywhere in the mountains, we’ve seen perfectly sunny forecast for the Adriatic coast. So what are we waiting for? We did some quick Instagram and Pinterest searches to find a beach for a perfect lazy beach day. The result was: Nature Park Strunjan. The Strunjan Peninsula with several kilometres of untouched cliff and magically blue bays seemed exactly that kind of a place we could instantly fall for. So did we. We parked our car somewhere in Dobrava which is a small town near Nature Park Strunjan and we got out to explore! But once we reached the beaches it was a sunny blue dream. There were not many people at all – in July? at the Adriatic Sea? We couldn’t believe but probably that steep walk has something to do with it. Anyway, the water was perfectly clear and blue, the huge cliffs towered above us and the weather was sunny all day. We were happy to choose the beach instead of the mountains this time for sure. We stayed in the Strunjan park until late afternoon but we had different plans for the sunset. We wanted to watch it from Piran. 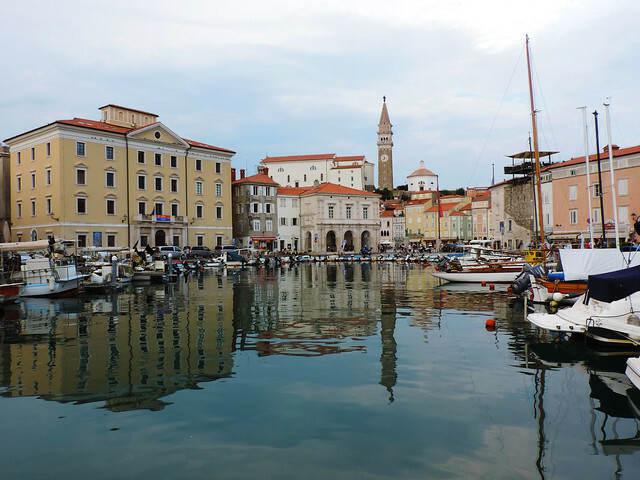 Though Piran is one of the three major coastal towns in Slovenia it really doesn’t feel like a ‘major town’. It’s a fairy tale coastal small town with narrow cobblestone streets, medieval and stunning Venetian architecture and colorful houses. It was part of the Venetian Empire for 5 centuries so no wonder it felt like we are in Italy. 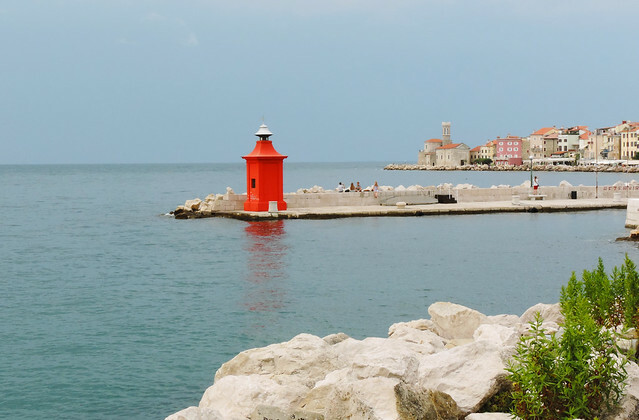 Piran is just as pretty as any of the romantic Italian towns but not as crowded – yet. Tartini Square is the main square in the middle of the town and whichever pretty little street you choose from there you will end up somewhere nice. We watched the sunset from the seashore promenade. Then we walked in the harbour until the colors faded away and all the tiny lights of the boats, yachts and houses were turned on. Church of St. George offers nice views of the town and it’s worth to take a look at it from the inside, too. You can even go up to the belltower. If you have more time, you can visit the Sergej Mašera Maritime Museum. Or you can climb to the top of the city walls for the view of the peninsula. Or just stroll on the streets, sit out somewhere and have an ice-cream. Overall: Adriatic coast is cool! 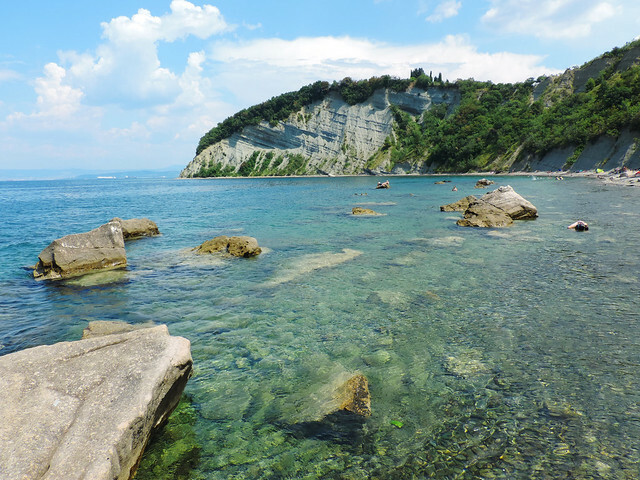 All in all, our conclusion is that the Adriatic coast is so cool! Not only in Croatia but in Slovenia, too. (And who knows where else? We should try Montenegro next.) We couldn’t say there are countless beaches in Slovenia. But does it matter when we’ve found such a beautiful one? We spent maybe only 4 hours in Piran but… well, I don’t have the courage to count how many times I used the word pretty in this post. This charming little town sitting at the tip of a narrow peninsula stole our heart. Just as Slovenia itself – this small country with its stunning mountains, lakes, caves, towns and well, even beaches. 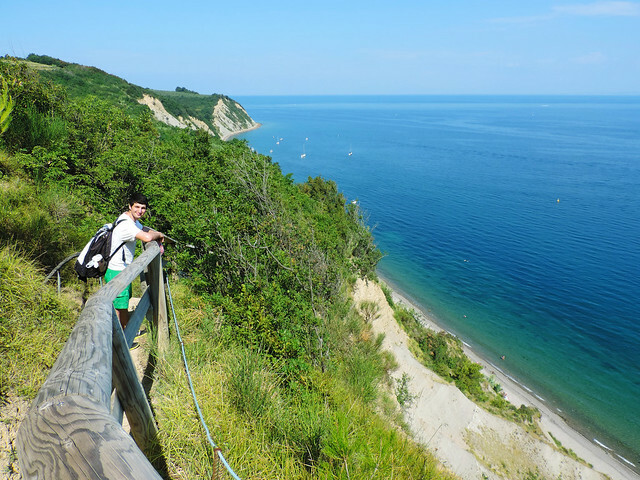 Have you ever been to the coastal part of Slovenia? Or anywhere else on the Adriatic coast? Next post [Video post] Let Slovenia Steal Your Heart In 2 Minutes!